This versatile Asian-inspired recipe makes a delicious dressing or a flavorful marinade for chicken, pork or tofu. In a small bowl whisk all ingredients except vegetable oil until smooth. Gradually add the vegetable oil and whisk until well blended. 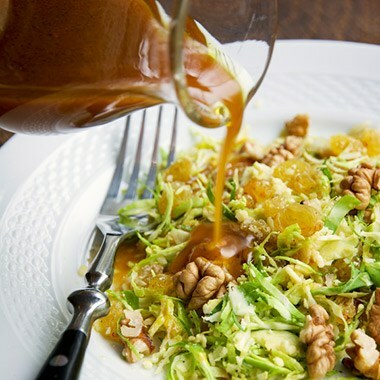 Use as a salad dressing on leaf lettuce with carrots, green onions, and toasted almonds. Use as a marinade for chicken, beef or tofu. Place meat or tofu in a shallow dish and add enough sauce to coat. Marinate, turning frequently, for 15-20 minutes.